AAA State of Play Blog: How to Design a Playground? How to Design a Playground? No doubt, playground is one such place where kids love to spend most of their time. Therefore, making a community park becomes quite important. You must design one that is not only entertaining but is also safe for kids. We are here with certain tips that you would help you in making the perfect playground for kids. Begin with installing high quality rubber mulch on the playground surface. It helps in preventing the probable injuries due to falls from the play sets. Moreover, nice rubber mulch also provides a clean and neat look to the playground. 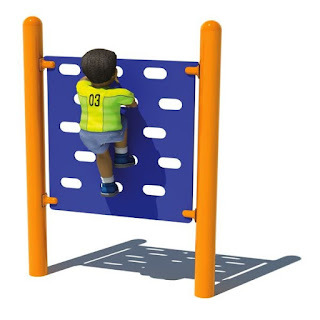 Decide your budget and start looking for wonderful playground equipment. You must select the one that is made up of superior quality material. Make sure the play set you are selecting has been constructed using IPEMA and ASTM guidelines. To abide the recent adoption in American with Disabilities Act (ADA) Standards, you must make ADA compliant playground. Design the layout in a way so that children as well as people with special abilities can easily enter the playground premises. Whether you are installing playground climber or swing set, make sure you categorize these as per the age brackets of kids. It is essential as no one playground equipment is suitable for kids of all ages. Provisions like height and complexity are defined after knowing a certain age brackets. You must differentiate the play sets using signage and fences so that guardians can know which equipment is suitable for their kids.